Choosing the right type of concrete foundation for an industrial building is one of the most important decisions you’ll make during construction. If you pick the wrong concrete foundation, it might not be able to support the weight of your building or stand up to the weather in your area. There are three main types of concrete foundations for you to choose from. Here is what you can expect from each of them. A floating slab foundation is one that features one continuous grade of concrete underneath of an industrial building. In addition to concrete, it also features a reinforcement that runs across the bottom of the foundation. 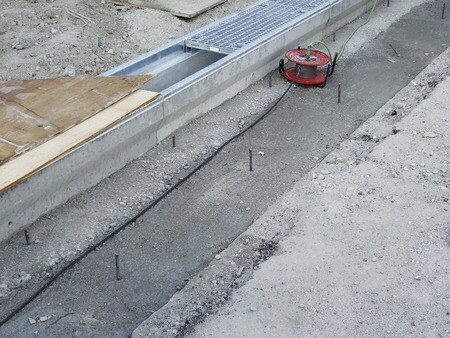 In some cases, the reinforcement will also spread underneath of the steel columns that run down through the foundation. Footing and grade beam foundations are different from floating slab foundations in that they don’t have concrete underneath the entire industrial building. Instead, footing and grade beam foundations have a combination of rectangular and square footings with grade beams running in between them. Those beams play a big part in supporting most of the building’s weight. While footing and grade beam foundations rely on footings, drilled pier foundations have strategically-placed vertical piers in place of them. The piers are created by drilling a series of holes deep into the ground. The ground must feature solid load-bearing soil for drilled pier foundations to be as strong as possible. Which of these three foundation types would be best for your industrial building? If you’re not sure, RG Smith Company can show you which one would be the right option for you. We work with those creating new foundations as well as those upgrading or repairing existing foundations. Call us at 330-456-3415 or 419-524-4778 today to learn more about the different concrete foundation types.